I have had my cavity walls insulated with mineral wool, and now damp patches have appeared on the inside walls. 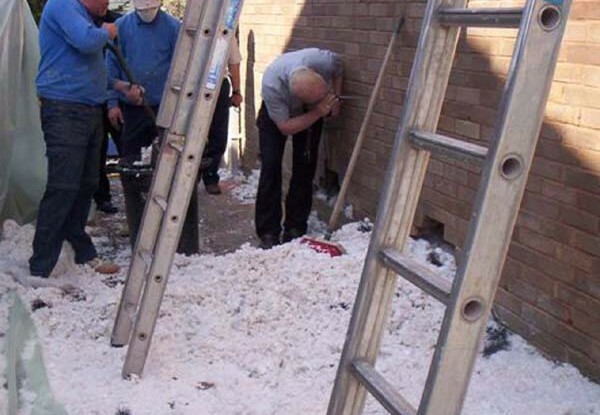 Is there a way of removing cavity wall insulation? It was blown in, so could it possibly be sucked out? A. Several readers have reported problems with penetrating dampness since having cavity wall insulation installed. The British Board of Agrément approval for these products clearly states that they are unsuitable for areas of high exposure to wind-driven rain, and that a thorough inspection of the walls should be undertaken first, to check for water-tightness. Needless to say, these requirements are often ignored.